Naples Florida is famous for its balmy tropical climate and sometimes visitors are surprised to learn that the first residential homes built in Collier County were equipped with central heating but most did not originally have central air conditioning systems. The vast majority of Johnson’s customers know that although maybe few and far between, SW Florida has always been vulnerable to periods of cold weather and that the intensity and duration of each season can be very different from one year to the next. The Florida Agricultural Plant Hardiness maps are a good indicator of whether your location is likely to drop below 32F degrees. If you are located near the Gulf of Mexico or Naples Bay, it can be expected that your heating system would rarely have to operate at or below freezing temperatures ; whereas heating systems to the east of US 41 and even further to east of Interstate 75 will have to operate at lower temperatures and for longer durations. The data below was collected from Naples Municipal Airport over the past 15 years. It shows the Average High, Average Medium and Average Low Temperatures for each month of the year. 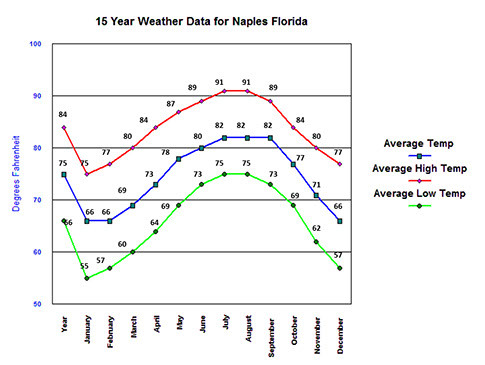 Notice that Naples Municipal Airport recorded an average of .3 freezing days over a 15 year period and only during the month of December. We all know that other areas of Collier County reached freezing temperatures much more frequently than at Naples Airport. It’s located on the Gordon River at the foot of Naples Bay and in close proximity to the Gulf of Mexico keeps it warmer in the winter and cooler in the summer. 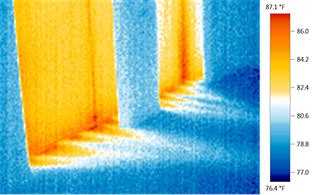 While the demands of our heating season can be considered mild in comparison with other regions of Florida, the most common methods of construction used locally in the buildings served by our heating systems are not nearly as resistive to heating losses to outdoors though walls, windows, doors and ceilings in most cases. Likewise, residential and commercial systems for use in controlling the comfort of occupants are rightfully designed with cooling and dehumidification capabilities prioritized. Architectural features that are popular include large rooms with high ceilings. The most effective air conditioning system configuration is diffusion of conditioned air into the space from ceiling or side wall locations located toward the center of spaces and directed downward toward the heat sources within the space. Architecture and heating systems designed for use in regions where energy use for comfort is dominated by a cold climate are usually designed with the heat supplied near the floor using forced air systems with floor mounted diffusers or heated slabs and radiant heaters located at or near floor level. Each method addresses the heat rising to the ceiling through convection to favor the most frequent mode of operation. Many of SW Florida central air systems are not very efficient when operated in heating mode ; the architectural design of many of the spaces served is in not conducive to efficient heating mode performance. Many SW Florida interior spaces are designed in such a manner that the heated air rises up into high ceilings through convection taking the heated air away from occupants at floor level. Often cold surfaces such as windows, sliders and tile or marbles floors add to comfort issues for occupants down in the living area while all of the heated air supplied into the room is just overhead in the high ceilings above them. The thermostat is located above floor level near eye level of the users and is also quite a few feet below heated air that accumulates in the upper areas of a high volume ceiling space. The thermostat will continue to demand heating operation until the user set point has been satisfied by the room temperature in the exact location of the thermostat. Room air temperatures in high ceiling area above the thermostat could be as high as 20 degrees greater than the temperature of the indoor air at the thermostat level. When these scenarios combine, it increases the required hours of heating run-time required and the energy demand required. Even though annual heating energy costs are far less than what is used for cooling and dehumidification of the conditioned air in summer weather mode, many of our heating systems and building designs run much higher energy cost per hour than would be tolerable in colder climates. Electric resistance heating is the most inefficient method used to provide heating mode comfort to occupants. It is also the most common type of heating system used in residential and commercial SW Florida Buildings. Even though annual utility costs for heating is just a fraction of what is used for cooling, many SW Florida owners of electric heating systems have had very high monthly statements for the months that the electric heating system was used. Only a handful of comfort heating systems in southwest Florida utilize the types fossil fuel combustion furnaces that are so common in northern areas of North America. The vast majority of residential and commercial comfort heating systems in SW Florida are dependent upon electrical utility energy sources ; some are heat pumps while others are less efficient electric resistance heating systems. Both use electrical power to heat indoor air for the comfort of occupants. Heating systems require varying levels of maintenance. Electric Resistance heating systems have fewer components and while not requiring the same level of maintenance as heat pump systems, still need attention and regular testing. Electric heat components should be tested regularly during maintenance service of the central air system whether they have been used by occupants or not. 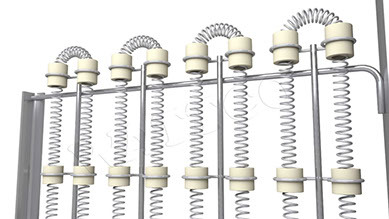 Electric heating elements collect combustible dust and debris during operation in cooling mode than accumulates on the electric heating elements, if not regularly energized and tested the combustion becomes more severe when eventually energized. The only way to make sure electric heat will operate when needed is to maintain it even during long durations of not being used. Heat pump system require the same maintenance and service requirements as air conditioning systems. Heat pumps utilize the same indoor and outdoor fans, heat exchangers and compressors that are used during cooling mode operation and share a control system that operates the same components, but differently as it switches between heating and cooling modes. Heat Pumps are reverse cycle refrigerant systems that can direct heat flow from outside to inside during heating mode operation and from inside to outside during air conditioning operation.